In September of 2018, we started sketching our ideas of the different classes. Because of this, a new lead and more concept artists joined the team in May but they were needed on other projects first in view of the upcoming Gamescom. Due to us having our own stand at the Gamescom 2018, we began drafting a corporate design as well as designing a logo and business cards. Even some merchandise was possible with posters and shirts adorned with exclusively made prints. Lastly, new designs got implemented into the game, for example the different class logos and the revision of the user interface for transitioning. 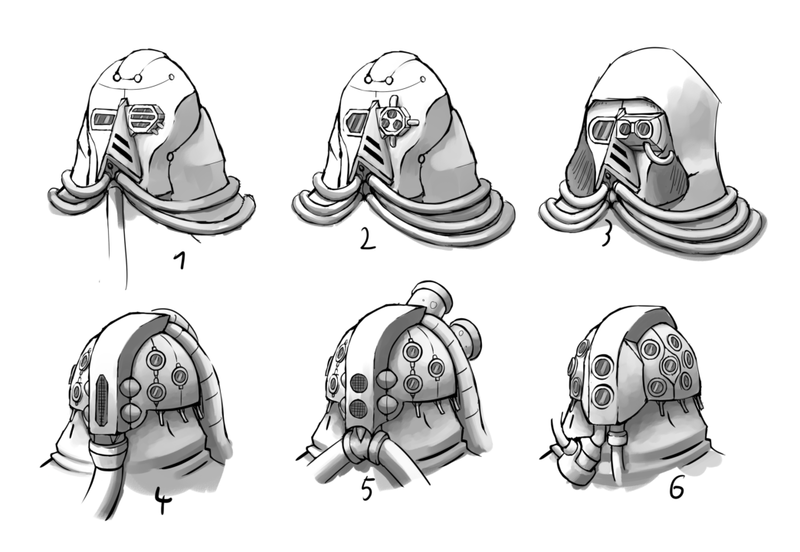 Slowly but surely it dawned on us that it was time to determine a style and scenario for our concept art. Because this will be the base for everything else in the game we did some thorough research as well as multiple studies. Reality was also used as an inspiration, robotic arms for example were inspired by artificial limbs. In the end, we decided on a unique, semi-realistic style we are able to call our own. While all of this is happening, our 3D artists regularly impliment them into the game. Looking at the scenario, we are still heavily gearing towards Science Fiction, specifically it is going to be a hybrid of military sci-fi and cyberpunk . Right now we are focusing on the making of a concept art list which we need for worldbuilding. The list is for helping us order what we need to conceptualize first and how the environment changes in the course of the game’s universe. The prison, in which Eternal Escape’s lead character will spend the beginning of the game. Here, we asked ourselves the questions: How did the environment looked like as the prison opened? How did the guards or their weapons looked like? Even if the player never gets to see that time but rather just the following dystopia, these questions are still fundamental for the game’s environment. Meanwhile, a small trailer was made, which shows the advertisement which was used to promote the prison. Looking towards future projects, we want to rework our advertising presence. Especially, the corporate design will be completed and applied to all platfoms afterwords. 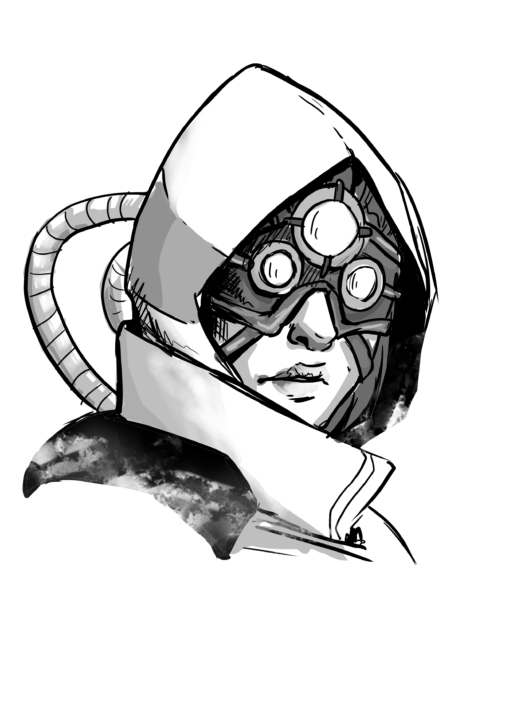 For Eternal Escape, concept arts from the list are going to be made and we are continuously working on the UI and UX.